In September of 2013 Full Tech Paranormal Investigations was contacted by a concerned employee who works in what was once called the Stephenson Building, which was established in 1888. The nameless employee explained that after placing tools of the trade in the proper places prior to going home, she, along with other employees would return the next day to find the items thrown about the room. Employees of the establishment have also seen apparitions in the basement area as well as other floors of the building. With this information Full Tech Paranormal decided to investigate these strange occurrences. The investigation began late Saturday evening. The team setup various voice recorders, video cameras, EMF meters and KII meters around the building. Shortly after retreating to the basement for an EVP session Jon received a response to asking the entity to make itself known by producing a noise. Jonas reporting seeing a shadow figure on the second story of the building shortly after. The team had most of their experiences in the basement including a flashlight being knocked out of an investigator's hands and breathing noises being heard. Full Tech Paranormal researches the history of all of our cases. 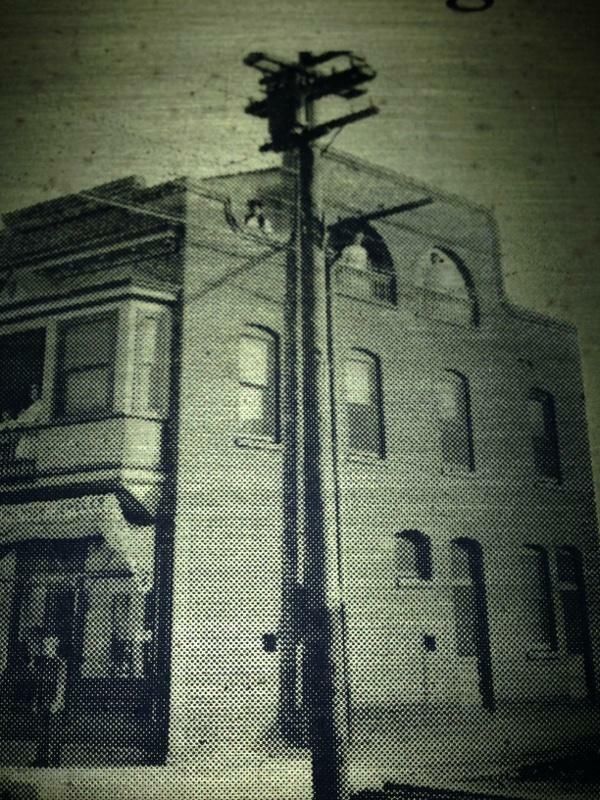 In this case we were provided information into the history of the building and its original owner. Letters were also discovered dating back to the 1800s. Unlike other cases that we have investigated in the past, we are adding historical photos of the building as it looked in 1888. This case was so intriguing that we will soon return to the site for a followup investigation. Energy revolves around an investigator's arm before something knocks the flashlight out of her hand. An entity directly responds to an investigator. An entity calls to an investigator. An entity speaks to the team. An entity repsonds to an investigator. An entity makes an interesting observation. An entity directly responds to an investigator's questions. An entity repsonds to an investigator's question.